There are better options! You'll receive White Glove Service from 4 The Office. 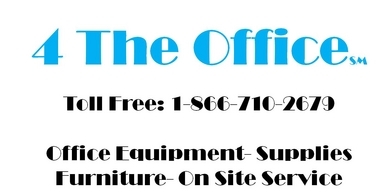 Do you have a long or short term need for office equipment, furniture or office supplies? Take the pain out of trying to put all the logistics together yourself. 4 The Ofice will handle it for you, just give us a call 1-866-710-2679. 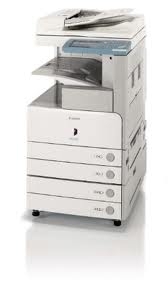 4 The Office realizes your office equipment needs to be affordable, deployed rapidly and dependable once on site. Whether you’re building a new pipeline, drilling for natural gas or oil, building a new office park or high-rise, working on an interstate road project or installing a wind park, we can make sure office equipment is the least of your worries. Our team will deploy the equipment, set up all the required network connections, train your staff and make sure service is there quickly when you need it. If you would like to move it to the next project, we’ll take care of all of the logistics and re-installation. We can also assist your IT Department with computers, laptops, network set up, repairs and service. We currently serve some of the largest companies in the United States in the Natural Gas, Construction, Architect/Engineering and Wind Energy Industries. If you’re looking for National Coverage just give us a call and we would be glad to put a plan together for you. 4 The Office can also provide both long and short term rentals for traveling executives, hotels, conventions, sporting events, trade shows, court rooms, temporary offices, and other special projects. All of our rentals include the equipment, all parts, labor, and toner. Our rentals are available for a day, week, month, or several months if needed. We’re proud of our references and they are available to you upon request. Serving the following cities in Northeast and Central Pennsylvania, Pittston, West Pittston, Forty Fort, Exeter, Hanover Township, Wilkes-Barre, Dallas, Shavertown, Back Mountain, Edwardsville, Plymouth, Kingston, Tunhannock, Montrose, Clarks Summit, Scranton, Carbondale, Dunmore, Dickson City, Archbald, Olyphant, Taylor, Newfoundland, New Milford, Waverly, Old Forge, Honesdale, Hawley, Blakeslee, Milford, Dingmans Ferry, Tannersville, Marshalls Creek, Matamoras, Stroudsburg, East Stroudsburg, Bangor, Cresco, Tobyhanna, Mount Pocono, Berwick, Benton, Bloomsburg, Danville, Milton, Lewisburg, Sunbury, Selinsgrove, Middleburg, Williamsport, Shamokin, Shenandoah, Frackville, Hazleton, West Hazleton, Tamaqua, Pottsville, Schuylkill Haven, Easton, New Tripoli, Northampton, Allentown, Emmaus, Nazareth, Palmerton, Jim Thorpe, Freeland, Wyalusing, Laceyville, Towanda, Sayre, Athens and surrounding towns. Serving the following counties in Northeast and Central Pennsylvania, Luzerne, Lackawanna, Wyoming, Susquehanna, Pike, Wayne, Monroe, Bradford, Sullivan, Lycoming, Montour, Columbia, Union, Snyder, Northumberland, Schuylkill, Lehigh, Carbon and Northampton Counties.